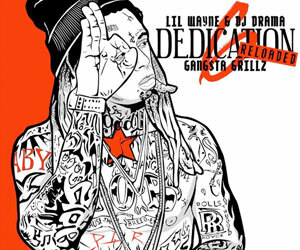 SUPRA announced that they had teamed up with Lil Wayne for an exclusive partnership in June, 2012, which will let Weezy release his own shoe line with the sneaker company. Wayne chose SUPRA to manufacture and distribute his upcoming collection of footwear designs, because he thought it would only be right to team up with them as he has been seen constantly rocking the latest SUPRA sneakers ever since they dropped the first Skytop model back in 2007. 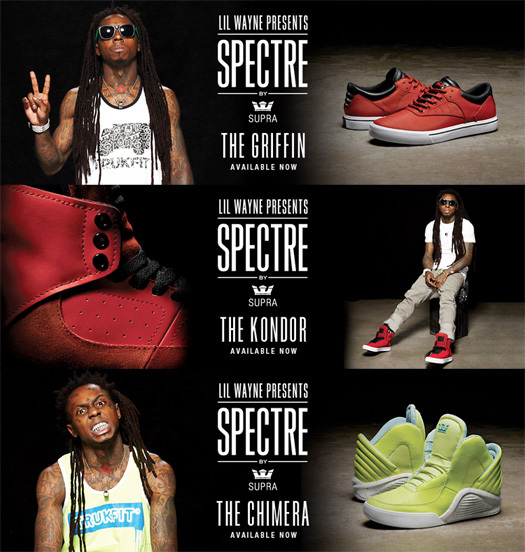 Lil Wayne decided to call his footwear brand SPRECTRE, which will include three different designs on the shoe line: Chimera, Griffin, and Kondor. The reason behind these shoe titles are that Tune thinks his style can be related to them. 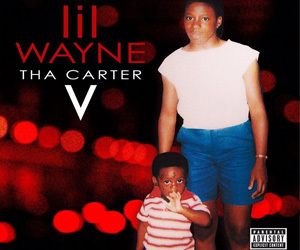 Weezy also explained that when you look at the sneakers, you will either love them or hate them, much like the opinion that people have of himself. 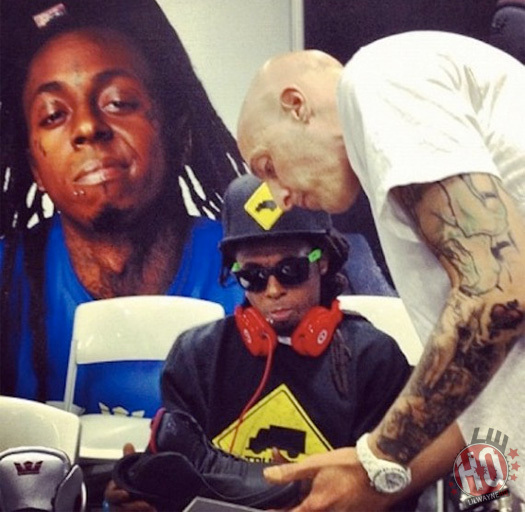 All three signature sneakers by Tunechi have been released and are available to buy in SUPRA retail stores! If you want to purchase the shoes online, then check out this article for more details.